Garage doors have truly come a long way from being creaky and rusty doors that house dirty garages and even dirtier cars. Before, it was simply a design afterthought versus the living room, bedrooms, roofs, and gardens. Today, garage doors are considered not just for their function, but also for their aesthetic qualities. Designers, architects, and interior designers are taking these to the next level. Garage doors finish the great exterior of houses and even the interiors as it is steadily being incorporated in layouts as walls and dividers in a much more unconventionally chic way to spruce up the space. Because of its industrial feel, garage doors lend a quick quirky and unique feel to any space. It is not as imposing as a wall and not as formal as a proper door and because of this, retail spaces, creative offices, and even homes are lining up to find the perfect garage doors for their properties. These days, garage doors don’t just keep the intruders and wild animals out. It also keeps the heat or cold in the house to help in managing utility bills. Garage doors are much more insulated to help in making the home more comfortable and with no extra charges on electricity. When installing a new door or fixing an old one, insulation must be carefully looked into. Gone are the days of screeching noises as the garage door goes down or up as the family car is placed inside. However, this may be a good and a bad thing. The noise signals to the homeowners inside that someone is about to enter the house while the noiseless opening helps burglars come in without warning. So aside from a great door, a good garage door provider should also be able to give options on how to better secure the home with sensors, locks, or CCTV cameras to be installed by the door and can be viewed from inside the house. Thanks to technology, garage doors are now electricity connected and can quickly be opened with the help of a remote. However, what happens when the electricity suddenly shuts off during emergencies? It is better and more advisable to have garage doors with built in batteries. Among all the types of garage doors, this type is the most fashionable among all and has the stamp of approval of most architects and designers. It is not as expensive to produce and is highly customizable. It is also easy to install for those quick projects especially for rented spaces for business. Today, manufacturers have found a way to improve it from 21-inch panels to 28-inch ones making it all the more design-friendly. This capability helps in keeping tabs on the door even while on vacation. Gone are the days of telling the neighbors to take a look at the house every day when one is away overseas. With this technology, homeowners can access their garage doors with the help of a smartphone or computer. Internet connection is all it needs. If you are in the process of building or renovating your home and you want a garage door installed, consider the latest features above. Consult your designer and your trusted garage door company for their recommendations when it comes to the best garage door type for your home. The garage door is one of the most indispensable parts of the family home and yet it’s also the most ignored when it comes to security. Due to technology, garage doors of today are more digital than ever and are so automated that it’s easy to think that it will always work. The most common garage door related accidents always involve small children. Due to their naturally wandering ways, they are fascinated with the knobs and buttons of garage doors. This is why it is important for parents to really inform their children that garage doors are not play things and like knives or the kitchen, these are not part of their play area. They can accidentally open the door and leave the home open to outsiders or worse, place themselves on the closing door and be pinned down. To avoid accidents, it is important to discipline small children and inform them of the dangers of playing with the garage door. 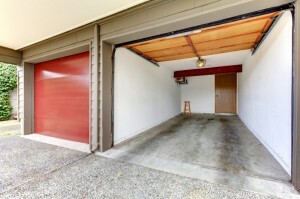 At least once every month, place an object under the automatic garage door as it is closing. The sensors must be able to sense the object, stop closing, and automatically retract. This ensures that the automation capabilities of the door are working very well to prevent car destruction or anything dangerous to happen. Changing of passwords is also recommended especially after routine maintenance checks. Thanks to technology, drivers can basically close their garage doors from the comfort of their own cars while they focus on being on the road. However, leaving the remote control is a rookie mistake that car owners cannot afford to make. In instances of carjacking, it would be much easier for the bad guys to get a hold of the owners’ home and have access to it through the remote. Instead, make use of one’s phone in connecting to the garage door. It’s much safer and harder to track should the car be compromised. It is easy to rely on technology when out for vacation for weeks at a time. But with technology also comes the hackers who can easily unlock a door. Instead, choose the old school way of locking from the inside and installing CCTV cameras and sensors to alert the owner should any intruder decide to make a move and target a house. Coordinating with the local police is also a good practice as they can help in patrolling around the area. They can also be one of the recipients of the alerts to respond to the house should the owners be on vacation. In the end, due diligence always pays off for homeowners when it comes to their garage door. The garage is not only a place for cars because most people place other valuable items inside it. The sad thing is that sometimes even the mighty garage door fails to deter determined burglars from trying to break into the garage and steal some expensive items in there. If you are living in a community that has several reported burglary, it is time that you take action and make your garage burglar-proof. 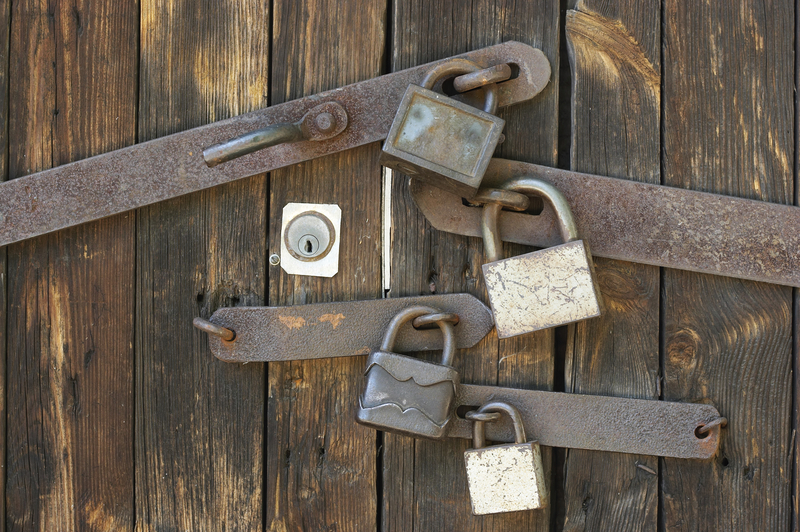 Security cameras are deterrent against burglars who attempt to enter your garage. Of course, the point of stealing is not to be caught, so burglars stay away from garages with good security cameras looking at their faces. Even if the burglar is determine enough to burglarize your garage, they will not get away with it because they can easily get traced. There are several types of security cameras. The one that is getting popular nowadays are IP Cams. These cameras can transmit real-time footage of what it captures through the internet. Therefore, whether you are at work or in vacation, all you have to do is open the internet browser, and then open the IP address for your Camera and you can see what is happening in real time. The footage can also be saved online for viewing later on. Installing an alarm on your garage door is another effective way to make burglars run away. 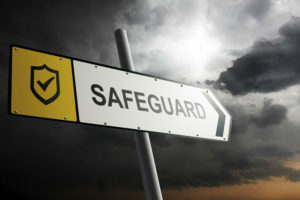 Much like the alarm that are installed in cars, garage alarms are set off by shock and give a loud, high-pitched screech that would actually hurt eardrums. Alarms also alert neighbors when someone is trying to break in and they could call the authorities. Garage door companies have all kinds of alarms you can choose from with different prices based on your budget. Most burglars choose to do their evil deeds at night, under the cover of darkness so they can easily hide when someone comes along. That is why it is a good idea to install a bright light in front of your garage door to deter a would-be break in. Choosing a bright light source, which does not use too much electricity, like LED lights is a good idea. You can put the light directly above the garage door for maximum effectiveness. Garage doors will lose many of its strengths in time especially if they are not constantly maintained. If the garage door lock mechanism, for example, is broken, it is very easy for thieves to open it and rob you blind. Always have your garage maintained by reliable garage experts and have them repaired when broken. That way, your garage door will be able to do its job of protecting the contents of your garage. It is a reality that there are malicious people who make it their livelihood to steal other people’s property. The garage is one of the prime targets of burglars because it is separate from the house and no one is in it most of the time. The garage also contains many power tools that sell for many bucks in the black market. Don’t be a victim. Contact a garage door company to fortify your garage using the tips mentioned in this article. Aside from being durable and almost unbreakable, metallic garage doors add a modern look to any home. Unfortunately, after a long time, the door would start to lose some of its metallic luster. If your aluminum or steel garage door already looks old and tired, then it’s time for you to treat them to look new again. 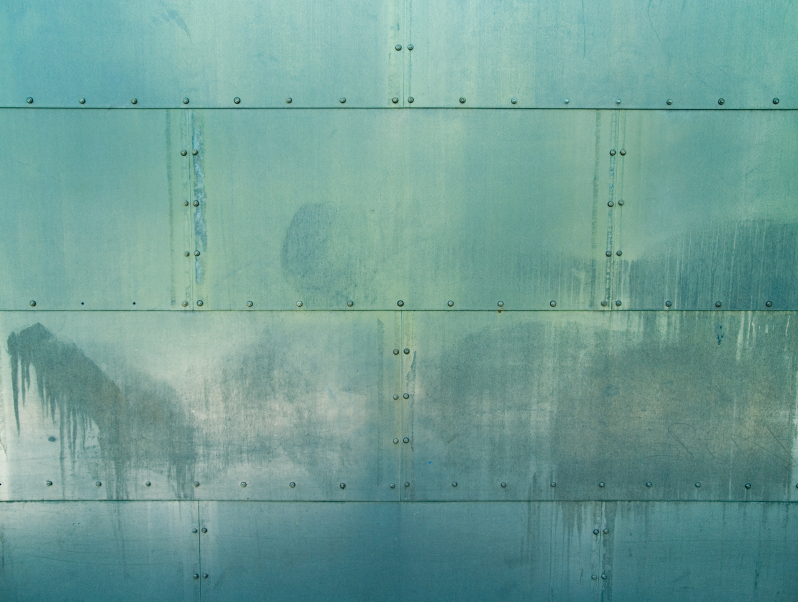 Steel is one of the most durable materials available out there and it will not tarnish, but exposure to elements can eventually cause it to lose its luster. There are many ways to maintain the luster of your steel garage door, but be careful because some of these methods may do more harm than good. This article will tell you the best way to protect and restore the luster of your garage door. It restores the initial finish of you metallic garage door. It forms a barrier preventing oxidation, acid rain, and rust. It repels dust particles, so you don’t have to clean the garage door often. It’s easy to apply even for absolute beginners. It lasts longer than paint. With a good quality prep cleaner and water, wash the entire garage door surface. Make sure to check if there are chalk and other residues and wipe them with a clean rag. After that, rinse the garage door well so that there are no more bubbles or suds remaining and let it dry naturally. When the newly cleaned garage door is dry, it’s time to apply the protective coating product. If you want to make the task easier and more efficient, you can buy a poly sponge or a high-quality brush. You also have the option to make your own applicator with a clean, lint-free cloth. Make sure that the coating is evenly distributed. After applying the coating, let the garage door dry for about 15 minutes. As an option, you can apply a second coating if you want it to last a very long time. After the coating is 100 % dry, check the garage door for areas you may have missed. Simply apply a coating on those areas. Step back and admire your work. Protecting and restoring the shine and luster of your garage door are a lot easier and more cost-efficient than repainting it or buying a new one. However, if it is more than just the luster issue that needs to be addressed, like if the garage door’s performance is also slowly deteriorating, then it’s time to call garage door companies for possible repair and maintenance. When we hear about garage doors, two things come into mind: cars and a stock room full of boxes found next to the parked car. But today, with spaces getting more limited and with ceilings getting higher to compensate for the space, designers and architects are exploring other uses for garage doors aside from being found outside and housing cars and boxes. Versus usual doors or windows, garage doors provide a more industrial look to any space, instantly making it a modern design. However, it is advisable that before incorporating it in other uses and applications, the homeowner must invest first in an insulated door. For interior use, insulation provides a great way to lessen the heat or cold depending on the season. Home spaces are now being explored for retail. Especially in buildings, the first floor may serve as a space for a fabulous space and a sectional garage door can be incorporated to open the space well to potential shoppers. Instead of doors that take up space, the garage door simply slides up and stays on the ceiling. Today, warehouses are being turned into homes. To provide privacy and separations in between living areas, glass garage doors are being used and incorporated. It is also a good way to serve as wall partitions to create office meeting conference rooms and little work hubs for solitary work time. 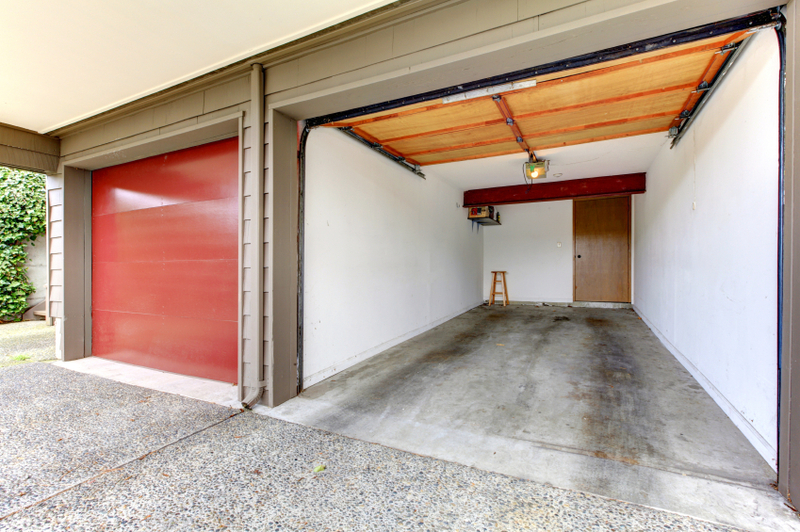 With the help of paint, garage doors may blend perfectly with the design of the whole floor. Compared to walls, garage doors are also much cheaper to install and prepare. These also demand less commitment from the space owners and offer more options and choices later on if you need to customize them. Aside from that, they make for great noise control instead of expensive dividers. When it comes to homes, there is a growing trend in also making each area a livable one. Now garages are turned into kitchens, libraries and reading rooms, and living rooms for guests. The best garage doors for these are the single panel doors as it provides the proper open air feel versus small windows or expensive French doors. The design usually follows a grid application. This helps in providing a great view from the inside, which walls and windows can never fully provide. Security wise, garage door applications for living areas are also sounder as it can be fortified with more lock mechanisms and can be harder for outsiders to open. It is not just new garage doors that are all the rage in interior design. Old ones can also be re-imagined for other uses such as dining tables or even study tables. With a stainless steel garage door, placing a glass on top already makes it a sturdy and modern-looking table top. It can also be cut up to create cabinets and storage areas. When it comes to garage door uses, imagination is your only limit. Garage doors have a lot of other functions that you can explore. Consult interior designers, architects, and garage door professionals for other things that you can do with your garage doors.